Just a 2.5 hour flight away from Singapore, Sabah Kota Kinabalu is one of the best, and most underrated weekend getaway destinations for Singaporeans. With lush rainforests and paradisiac islands, what’s there not to love about the coastal city? Here are a list of exciting activities to discover on Kota Kinabalu for an unforgettable weekend escapade from the city. Home to a variety of wildlife, Kawa Kawa is a piece of untouched paradise located at Kota Belud, Sabah. 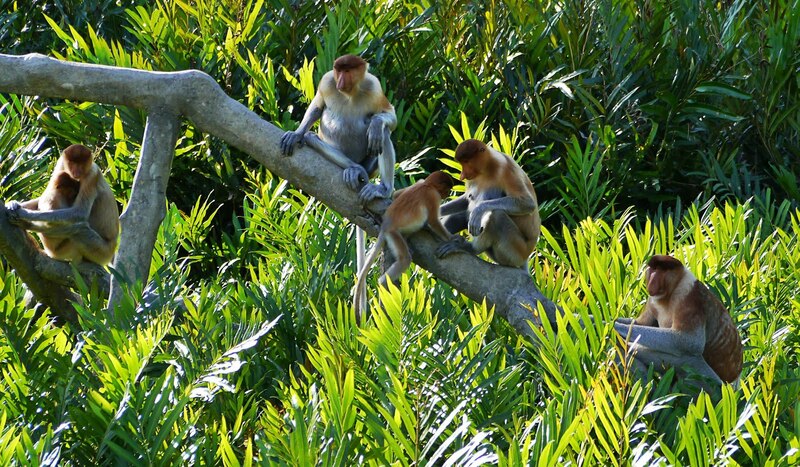 Watch for Proboscis monkeys, quaint villages and lush mangroves on a tranquil cruise down Kawa Kawa river by day. As dusk sets in, millions of fireflies illuminate the night sky, offering city dwellers an extraordinary sight of Sabah that can never be found elsewhere. >> Experience the Kawa Kawa River Cruise here. Mantanani Island is the perfect beach getaway we’ve all been dreaming of. Malaysia’s very own Bora Bora, Mantanani Island is a visual of clear, turquoise waters teeming with exotic marine life. Swim with rays and large schools of fish or stroll down vanilla-white beaches — Mantanani Island will be the holiday you’ll never want to leave too soon. >> Explore Mantanani Island on a weekend getaway with KKday. What’s a trip to Kota Kinabalu without a hike to its peak? Recognised as the highest mountain in Malaysia, Mount Kinabalu holds scenic sights at its 4095-metre tall summit. Even if mountain climbing isn’t exactly your cup of tea, Mount Kinabalu offers other intriguing attractions such as the Moroli River Fish Spa where the ‘doctor fishes’ aren’t of your typical pedicure spa sizes and can measure up to 30cm in length. Challenge your fear for heights up a treetop canopy walk, or unwind with a soak in the famous Poring Hot Spring. Complete your day trip to Mount Kinabalu by exploring Desa Cow Farm, a cattle farm at the foothill of Mount Kinabalu that not only homes livestock, but breathtaking vistas of vast pastures and mountainous landscapes. >> Join in on a 1-day trip to Mount Kinabalu with KKday. A 15-minute boat ride away from Kota Kinabalu, Sapi Island is yet another heaven for snorkellers in Sabah. A gorgeous coastline fringed with vibrant coral reefs, Sapi Island brings divers to a whole new underwater world with its beauty. Featuring sea-walking, a unique diving system, Sapi Island allows beginners to admire the island’s spectacular marine life up-close without the need for expert snorkelling skills. It’s practically a walk in a (underwater) park. >> Discover Sapi Island with KKday. Safe even for the elderly and young, challenge Kota Kinabalu’s waves in an electrifying water-rafting experience down Kiulu River. With various difficulty standards for people of all skill levels, water-rafting is an amazing water sport in Kota Kinabalu for everyone, and anyone. The next time your ah ma claims she’s too old for any adventurous sports, show her this. >> Enjoy water-rafting down Kiulu River in Kota Kinabalu. Ladies, quit splurging on volcanic clay masks and save that money for a trip to Pulau Tiga instead. 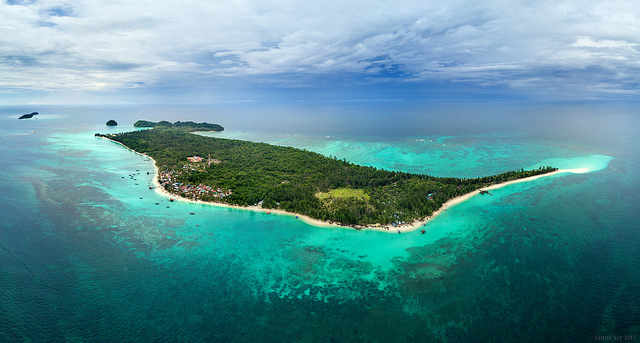 Otherwise known as ‘Survivor Island‘, Pulau Tiga got its nickname from the American television series, Survivor: Borneo. The island is believed to have been formed by a volcanic eruption off the coast of Borneo, thus making it the ultimate ultimate mud-bath paradise it is today. We all know the therapeutic benefits of volcanic mud baths, so tell us why would anyone spend hundreds on commercialised masks when you can have it free and au naturale at Pulau Tiga? >> Indulge in nature’s best volcanic mud bath at Pulau Tiga with KKday. Turtle lovers, do you hear us? Throughout the year, Hawksbill and Green turtles come ashore to Tempurong Beach to lay their eggs beneath the coast’s balmy sand during nightfall. The Hawksbill and Green turtles are classified as part of the endangered species, thus, consider yourself lucky if you managed to chance upon a nest. Plus, there’s no better way to observe nature than in its natural habitat. >> Go on a night turtle hunt at Tempurong Beach with KKday.